Hilton Head Island has a legendary reputation for golf. South Carolina Low Country is the perfect setting for this game of the Scottish lowlands. In fact, the Scottish ancestors of South Carolinians were probably the first people to play golf in the New World, with clubs and balls coming over on ships as early as 1746. The island currently boasts 25 challenging golf courses**, including several generally considered to be among the best in the world. Additional courses are located nearby. There are more than 600 holes of golf on the island or in the immediate area. Golf enthusiasts, from beginner to advanced, can enjoy playing because of the wide range of prices and courses available. The PGA Tour has stopped in Hilton Head every spring for 30 years, and the island has hosted several national amateur events for those who like to watch excellent golfers play. The Heritage Classic, one of the foremost events of the PGA Tour, is played here each April. There are numerous other golfing events each year as well, with participants ranging from professionals to top-ranked college athletes to talented local amateurs. The golf courses of Hilton Head, like the diverse residential and resort communities, have distinct personalities. The breath-taking beauty is their common bond. Hilton Head's list of golf course architects is very impressive - Jack Nicklaus, Rees and Robert Trent Jones, Gary Player, Willard Byrd, Pete Dye, George and Tom Fazio, and Arnold Palmer - just to name a few. 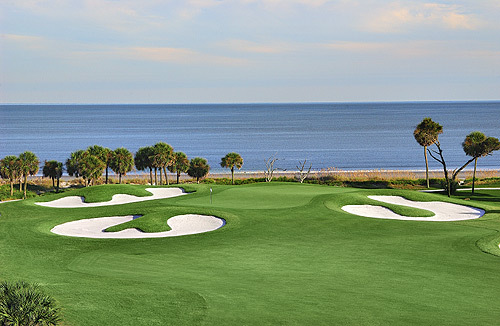 The wide and scenic fairways, rolling greens and beautiful yet challenging water hazards that they created have earned Hilton Head Island the honor of being the resort with the largest number of courses on the World's Best List. The diversity of the courses is like the island itself. There are wooded courses dripping with Spanish moss. Others have sweeping ocean vistas and some overlook the Low Country's coastal wetlands, rivers and beaches. Your visit to Hilton Head could provide the opportunity to improve your golf game by taking golf lessons form one of the many PGA certified instructors in the area. Many of our local golf courses also have driving ranges where you can hit a bag of balls. Clinics, daily lessons and group instruction provided by PGA certified instructors are available. Just contact the teaching pro at the course of your choice for more information. 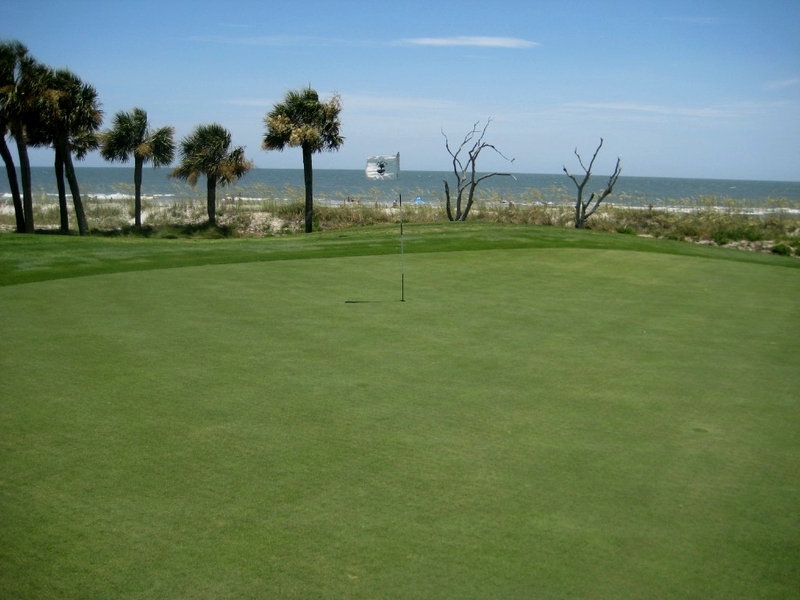 Non-private golf courses in the Hilton Head area that are accessible for play are as follows: Arthur Hills/Palmetto Hall, Country Club of Hilton Head/Eagle's Pointe, Fazio, Harbour Town Golf Links, (PGA Golf Tournament Course), Ocean Course, Heron Point, Hilton Head National, INdigo Run, Island West, Old Carolina, Old South, Oyster Reef, Palmetto Hall-Cupp Course, Barony, Planter's Row, Robber's Row, Robert Trent Jones, Rose Hill Country Club and Shipyard. Most courses include a restaurant or snack bar, lounge, pro shop, lockers, putting green and driving range. Green fees and cart rental fees usually range from $45 to $100 and up. These fees may vary with the time of day and the season. There are few golf resort communities that can compare to Hilton Head when it comes to variety of quality Signature Courses, value and most of all, beauty. Golf is one way to enjoy life on the island. So when you plan to play golf on Hilton Head, it is always a good idea to make tee times as far in advance as possible. Enjoy your round.